This has been a month full of planning and preparation as we get ready for our next two training trips. Visiting the two groups of new Peer Educators that we trained in December, we’ll see how their trees are doing and what they’ve been doing with their new moringa knowledge. 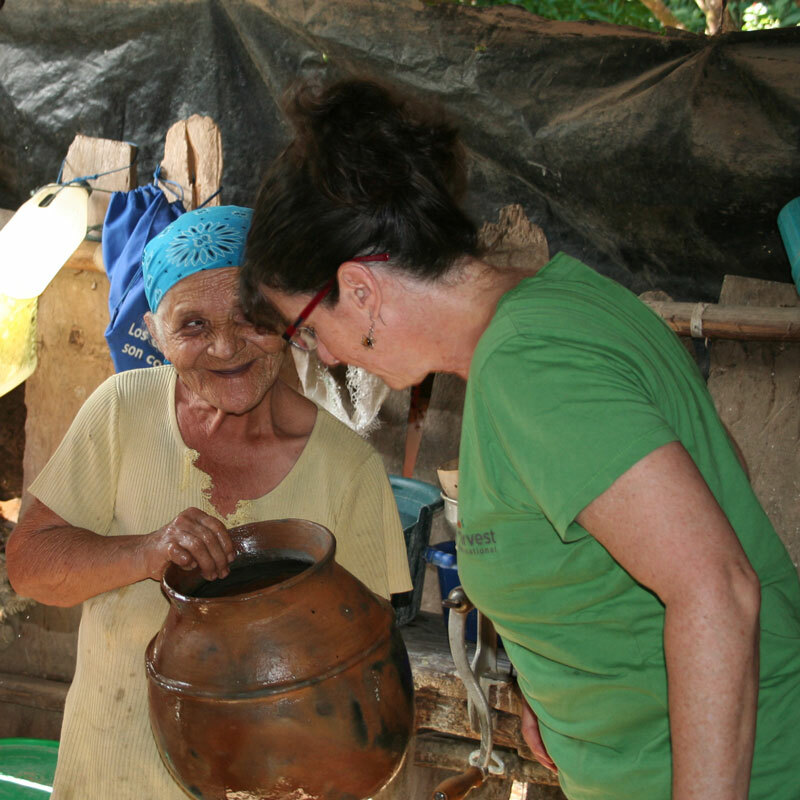 As we work toward creating an in-home sand-moringa water filter using locally available materials, we’ll meet with the pot-maker again in El Zapote to see if she has our special-order pots ready. We’ll also spend time with Todd Evans (below in the plaid shirt, dancing with local folks in Dario) and other leaders from Seeds of Learning and End World Hunger 2030, showing them the impact that Strong Harvest training is having in Cristo Rey and Leon. We’ll travel to some of the places where they’ve been working, introduce Strong Harvest, and plan future seminars. Along with a team of SHI trainers, we’ll hold Peer Educator seminars in two diﬀerent locations. 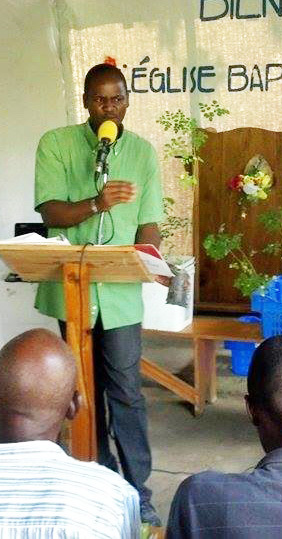 In Lory, we’ll see our lead Peer Educator in Haiti, Fritzner, as well as some of the people to whom he’s provided moringa training and learn how they are using it. We’ll also train a new group of 20 Peer Educators from the Lory area at the Grace Baptist Church. It will be great to meet Fritzner face-to-face for the first time and to hear from people in his area about the about positive changes that using moringa has brought to their lives. From Lory the team will move on to the Limonade area. Debbie Harvey, the founder of Helping Haitian Angels has been doing lots of great work in this area of Haiti, including planting and using moringa at the HHA school and orphanage. We’ll provide Peer Educator training for 20 community members and HHA staff members. We’re very excited to bring Peer Educator training, health, and hope to Haiti this summer!